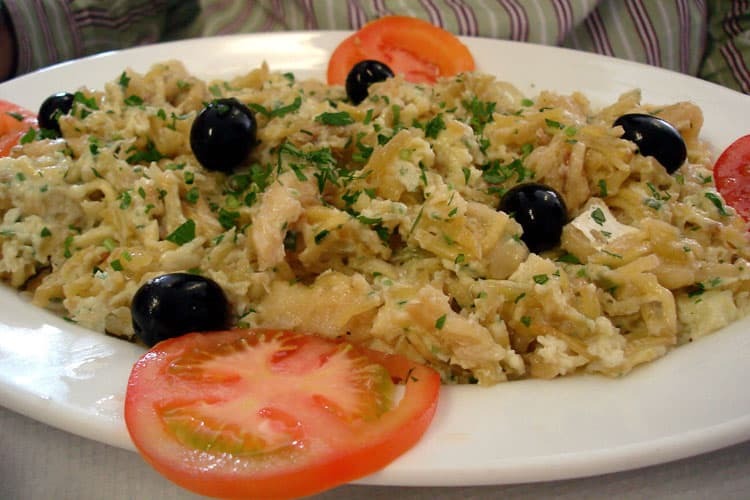 When we think of traditional dishes from Portugal, no doubt we think of bacalhau (cod in Portuguese). 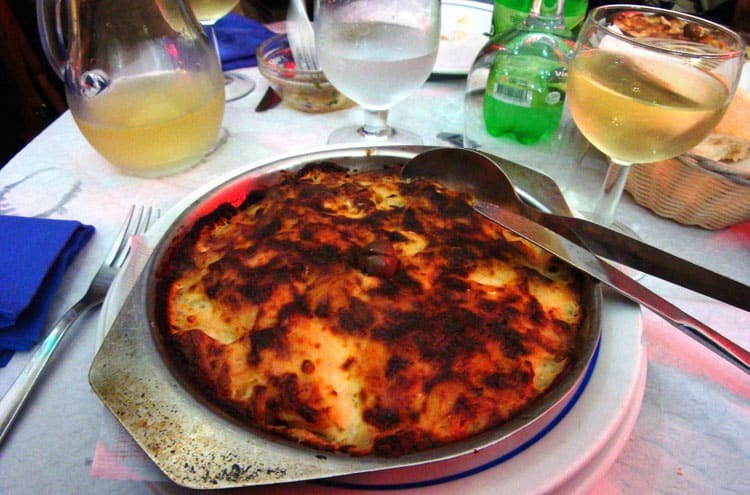 Roasted, baked, boiled or fried, the Portuguese say they have 365 bacalhau recipes, one for every day of the year. The great Portuguese singer Amalia Rodrigues said it best: China bem, Cheira a Lisboa (Smells good, smells of Lisbon), and that’s because the capital of Portugal smells of tradition, smells of the sea but above all smells of food. I can’t confirm whether or not in Portugal there are as many recipes for cod as days in the year, but what I can say is that you can’t spend a few days in Lisbon without trying at least a couple. Since I was a child I have eaten cod at home, with simple recipes my mother cooked and which I liked but not really loved. Cod was for me another fish. But my opinion changed when Zé Carlos Barretta. There I had the chance to try the cod in ways I would have never imagined. Suddenly the cod became a tasty dish. Every time I went to a restaurant I ordered a different recipe with great expectations. Here are some of the best cod dishes I had and I strongly recommend you to try when in Portugal. I’ve also provided recipes so that you can try them at home! Cod is a very inexpensive fish to cook with so you can really stretch your food budget. 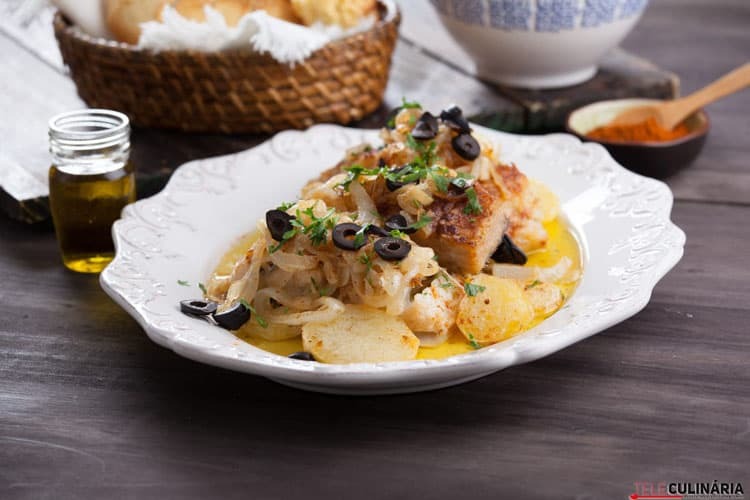 Bacalhau à Brás is one of the most famous cod recipes from Portuguese and Macao cuisine (a former Portuguese colony). The recipe consists on shredded cod, desalted the day before, and mixed with scrambled eggs, fried potatoes and very finely chopped onion. They are usually served with parsley and black olives. It’s very popular and you’ll find it in most Portuguese restaurants. Here are recipes from Food & Wine and Cooking (NY Times) to try this dish at home. Coming from Lisbon itself, this delicious dish consists of shredded cod, fried with onions and covered with a layer of potatoes and cream. Finally it’s put in the oven to broil. This dish is as greasy as delicious. No doubt, this is my favorite of all cod recipes. I couldn’t stop eating it! Here are recipes from Easy Portuguese Recipes and My Portuguese Kitchen. Bacalhau à Gomes de Sá is a casserole of bacalhau, potatoes, eggs, olives, olive oil, and onion. It is a specialty from the northern city of Porto (where I started and ended my Douro River cruise) and is popular throughout Portugal. 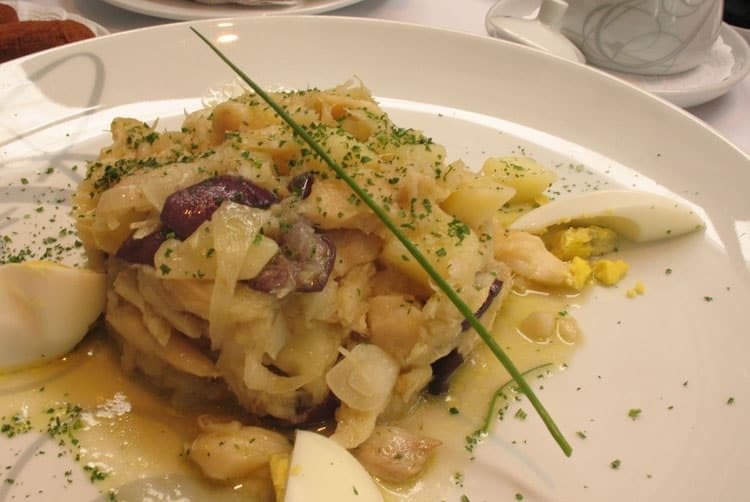 It is considered one of Portugal’s greatest bacalhau recipes. Here are recipes from 196 Flavors and the Portugues Diner. This is a typical dish from the region of Minho, in northern Portugal. It consists of pieces of cod prepared with paprika and fried in oil. After, in the same oil, you can fry thick slices of potatoes and finally some onion rings that are placed on the cod before serving it. 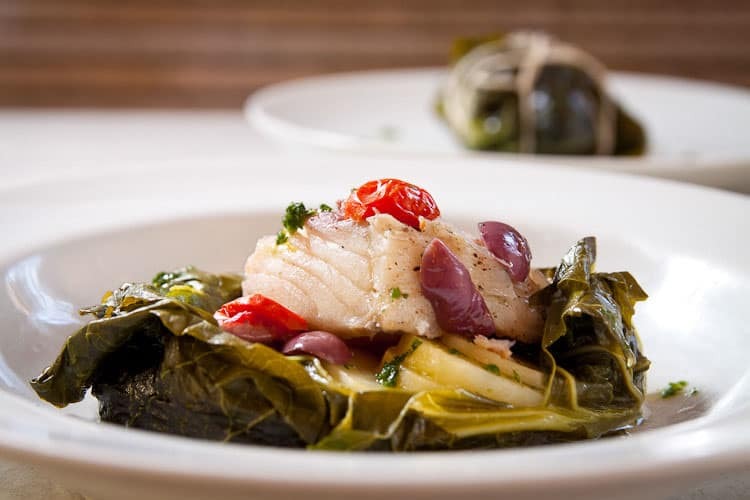 The dish can be sprayed with oil and accompanied by turnip greens. Yummy! Here’s a recipe from Food from Portugal. These aren’t really an entree, more like a starter and I ate plenty of them walking around Lisbon! They are fried balls made of flaked cod, potatoes and eggs. You can eat them as a starter or as a snack. 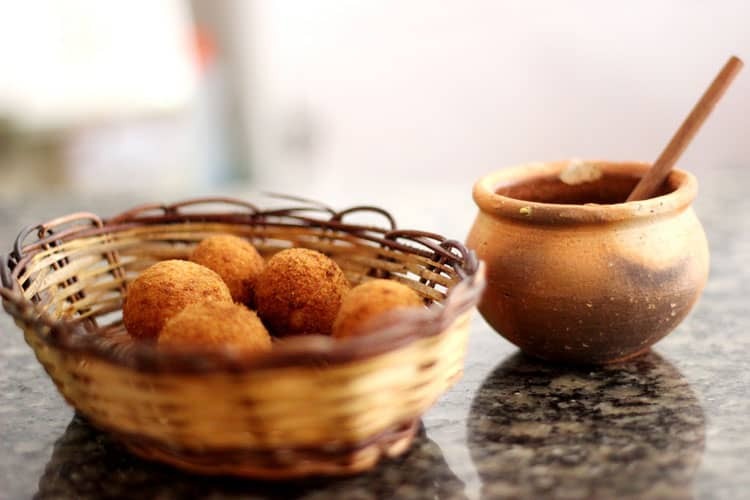 They can also accompany a juicy feijoada stew or rice and black beans. Here are recipes from Azelia’s Kitchen and Catavino. It would be very difficult to put all the recipes for cod that exist in Portugal but I have to say that apart from these ones you can also find others like rice with cod, cod cake, cod salad and even cod lasagne! With so many recipes it will be very difficult for you to try just one! How about you? 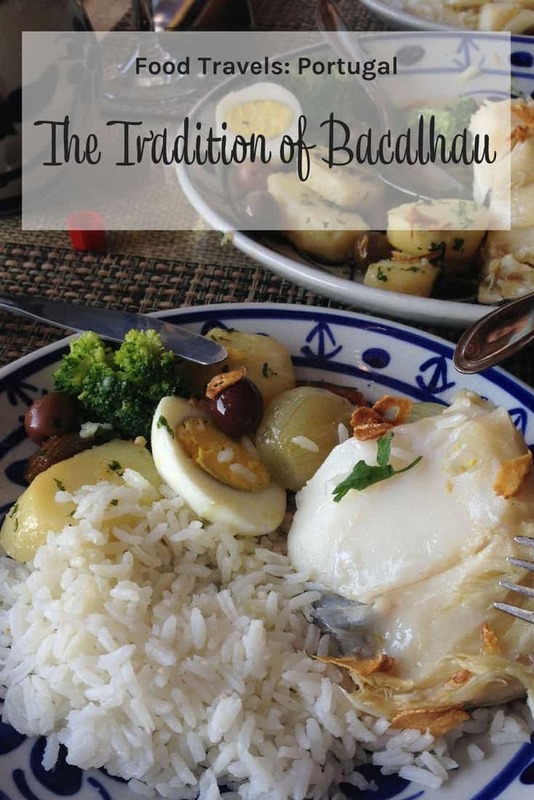 Do you have in Bacalhau or cod recipes that you’d like to share? Did you have cod in Portugal and have an experience to share? Do tell! Mmmmmm. Thanks for all the great bacalao recipes. We enjoy bacalao in the Caribbean too. Can’t wait to try your recipes. Yum! @Ria, that is interesting, I did not know that – are the preparations similar, or completely different? We do saltish/bacalao with onions and tomatoes for breakfast we call buljol or we make saltfish fritters called accra kind of similar to your bolinhos but they are not so perfectly round. Check out Trinigourmet.com -she has good authentic recipes and good info too. @Ria, thanks I will, I love discovering new places through food!